In 2015, 30.3 million Americans, or 9.4% of the population. Diabetes is currently the seventh-highest cause of death in the U.S. Roughly 193,000 Americans under age 20 are estimated to have diagnosed diabetes. This approximately 0.24% of that population. Certain races are more predisposed to diabetes than others. Hispanics, African-Americans, and Native Americans are notably the highest. Not to be ignored here is the cost of diabetes. This puts a weight of over $300 billion on the healthcare system each year, manifesting in higher costs across the board. For example, between 2002 and 2013, insulin costs have nearly tripled. On average, the typical diabetes sufferer has 2.3 times larger medical bills than someone who is otherwise healthy. Diabetes is a burden on your health and your finances, but the scientific and business worlds alike are trying to soften the blow. While a cure—if you could say such a thing—isn’t on the horizon, several lifestyle innovations are making it easier than ever to monitor and support your health, with minimal inconvenience. One of the most important things about living as a diabetic is making sure that you have means to monitor your health and glucose status at any time. For example, a portable ketosis blood test can help you keep track of this important indicator of your blood sugar at any time. One of the major trends in this area is wearable technology, a replacement for the classic glucose testing of pricking your finger to monitor your glucose levels. Examples of this include skin patches, small patches that contain sensors. These measure blood glucose from sweat rather than blood, and can release a small dose of insulin automatically to correct blood glucose if it gets too high. The current technology is a bit more unwieldy, needing a wire to transmit data. There is one patch that is already ahead of the game, measuring fluids beneath the skin to determine glucose levels, but it is currently only available in Europe for the moment. An American version is going through the process of FDA approval. Self-monitoring tools are also in development for contact lenses and even footwear, believe it or not. On top of the technology that is helping make sure you can monitor your blood and other important health markers, there is more and more tech being integrated to make sure that your glucose levels are at a proper level at all times. One such improvement is smartphone apps. The nice thing about these is that unlike patches or experimental clothing, these are things you can put into action right away. For example, these apps can provide functions like education, assistance with decisions, and communication with your health service provider in the event of an emergency. These apps can help diabetics make smart food choices in the event that they don’t have a blood strip available to test their levels before a meal. Some are even designed specifically for children, a sensible decision giving the amount of children growing up these days with a smartphone as an integral part of their lives. Outside of smart technology, we see other improvements being made, especially in the area of medications. These include both new medications as well as improved delivery systems. 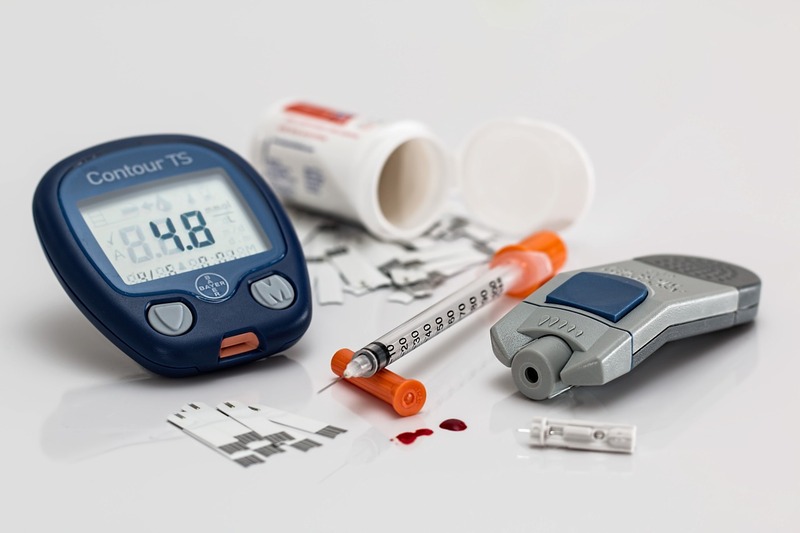 Concentrated insulin means people with certain conditions don’t have to do as many injections a day, and combination medications let multiple issues be handled at the same time. The thing about all the improvements made with diabetes care is that they aren’t a formal replacement for the intervention and attention of a medical professional. Before putting some of these things in action, be sure and have a talk with your doctor about what you plan on doing. They have the benefit of seeing many of these developments as well, but from a more objective point of view. A quick consultation may point out what options are best for you, and what brand may have the superior product when there are multiple types of the same product to choose from.